Blackjack Slapper For Self-Defense | BUDK.com - Knives & Swords At The Lowest Prices! 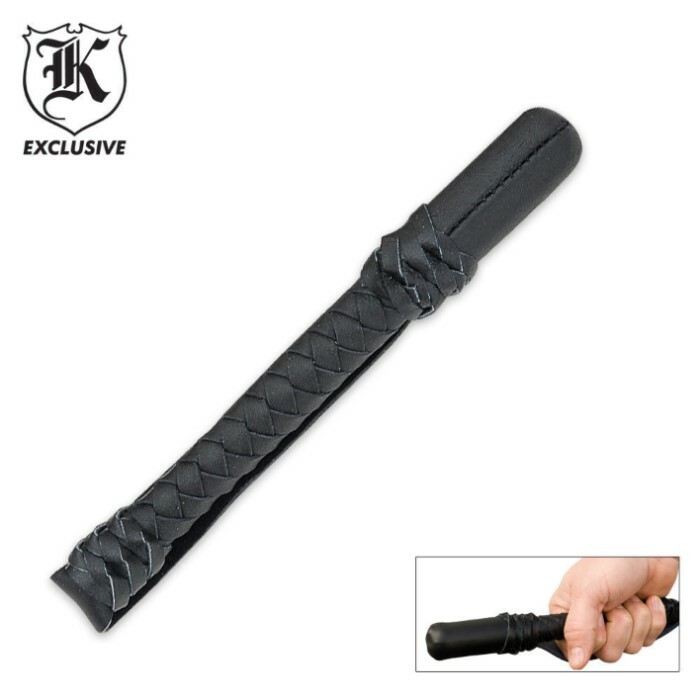 Designed for police and security personnel for personal defense, our Blackjack Slapper is made of high-quality leather. It has a hand-strap to keep it securely in your hand and it weighs a hefty 14 oz. The Blackjack Slapper gives you a weighty upper hand on an assailant! I got this blackjack last week. Had to use it on the weekend. This little toy does work! I'm buying more to give to my family as gifts. It's worth every penny. Bought this for my dad for self defense. Seems to be a sturdy product, but like the gentlemen before mentioned the leather weaving is not so good. It actually started coming unwoven right out of the packaging.Nothing i couldn't fix in a few minutes,but i wasn't happy that it was not weaved well to begin with. Product was for the most part sturdy, well made, and a good value. The leather was of good strong quality but the weave moves some and might undo with use and abuse around the sections holding the lanyard strap. The head had a few pieces of something or other moving inside, but it doesn't seem to cause any concern for me. Overall i am satisfied with the product and hope it gives me a few good years of service.